Fifth-grader Frame is thrown into a sharp learning curve after she and her brother, Ranger, discover family friend Uncle Tam’s dead body in a river. Set in a tiny rural town in British Columbia, Canada, in 1985, Frame’s tale unfolds in an ingenuous first-person, present-tense narration. Her large family lives on a “hobby-farm” and includes an apparently developmentally disabled 4-year-old sister adopted from Russia, plus loving parents, two brothers, and older sister Bird, called back from university for the funeral. When police reveal that Uncle Tam was stabbed before drowning, Frame and Ranger decide to do their own investigating. 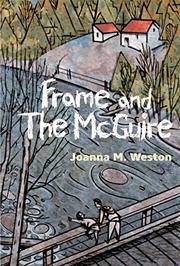 More than once—and against parental advice—they visit the run-down premises of The McGuire: their cantankerous main suspect. Meanwhile, Frame simultaneously copes with many aspects of her life: school, bullying, a talkative girlfriend, shyness. Her changing relationship with Bird, who has spurned local boy Seth for Jamaican Leo—“a huge dark presence” in this largely white community who materializes on time for the highly dramatic ending—is well-developed and necessary to the plot. (And Leo asks Frame the question about her name that has been tantalizing readers as well.) The action-packed final chapters serve the double purpose of tying together all the clues and reminding everyone—including amazingly inept police—of the complexities of human beings.